Home-grown talent, materials used for new campus and conservation center. Northern Ohio has an amazing abundance of resources, both natural and human. On this project, we celebrated those resources by drawing on them for talent, materials and craftsmanship. Fairmount Minerals of Chardon donated 6,000 tons of local gravel. 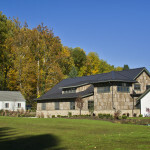 The center is at 3850 Chagrin River Road, Moreland Hills. Rich Cochran, president and CEO of the Land Conservancy, lives in Shaker Heights. The construction manager for the project is Legacy Construction Services LLC of Lyndhurst. 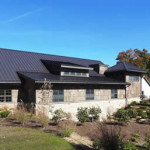 The building’s standing seam metal roof was donated by Lake County-based Willoughby Supply and made in Middleburg Heights and Mentor.Electrical products are from Eaton Corp., assembled in Parma. 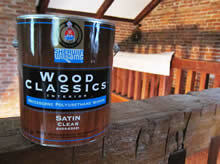 Paint is from Cleveland-based Sherwin-Williams Co. 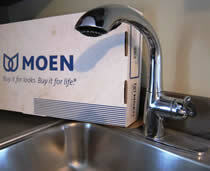 Plumbing products are from Moen Inc., based in North Olmsted. Landscape design and construction was done by Impullitti Landscaping of Burton. Architectural design is by Anthony Paskevich of Cleveland. Interpretive design displays will be done by Studio Graphique of Cleveland’s Shaker Square. Recycled hardwoods came from abandoned homes in Cleveland and were supplied by Cleveland Woodworks.